During last nights amazing Injustice 2 event at a wonderful venue in Toronto we got to try out some gameplay action! Sure, we only got to try three matches, but I think I’ve found my new fighter. First off, Injustice 2 boasts an impressive roster of at least 32 characters! More characters are even playable through Premiere Skins which changes their voice and appearance, but keeps the play style of a base character. I enjoyed trying out newcomers Black Canary and Cheetah but Scarecrow really stole my attention when I just started tearing up my opponent without any prior knowledge of how the character plays. Scarecrow has this huge hook on a chain that I was able to just wreck with! After some close up damage, I was able to lash out with that hook, and then combo into spinning the chain overhead in a long range attack! The two of us didn’t know really what to do with our characters so it was a surprise when I pulled off this move and then just seemed to keep going. 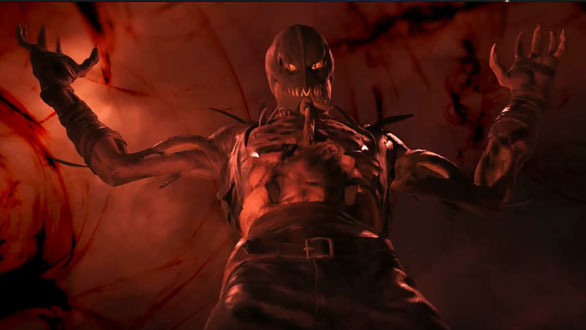 It may just be me, but Scarecrow just plays naturally to me. Of course I’m sure you bound around to various characters in the campaign and I’m going to have to learn a lot more, but I know who I’ll be leveling up for fun though. The game itself looks just incredible! The graphics are beautiful and cinematic, the frame rate flows like butter, and once you know what you’re doing the battles become an impressive display of superhuman prowess. Background items still play a role in this one, allowing you to cause damage with the scenery or bound away from your opponent off various landmarks. Super moves make a return too with impressive visuals and damage as well. Those are moves you pull off by using up your power bar by pulling both triggers and hopefully connecting with your opponent. You’re then treated to a cinematic of your character beating the tar out of your foe. Injustice 2 is making sure that players keep coming back for more battles with a new gear system. If you’ve spent any time grinding away for loot on Destiny, you’ll probably feel right at home here. Not only can you collect new gear to customize and actually improve the stats of your fighters, but you can even use shaders to customize their look! If the thrill of battle wasn’t enough, there’s now the thrill of rare gear dropping that you can improve your favorite characters with! We’ll be getting a good look at Injustice 2 next week and have a review on the way shortly after! If you’re still not sure check out the video we just posted with Ajay Fry’s interview Ed Boon last night at the event, or watch the Scarecrow trailer below to see my new fave!